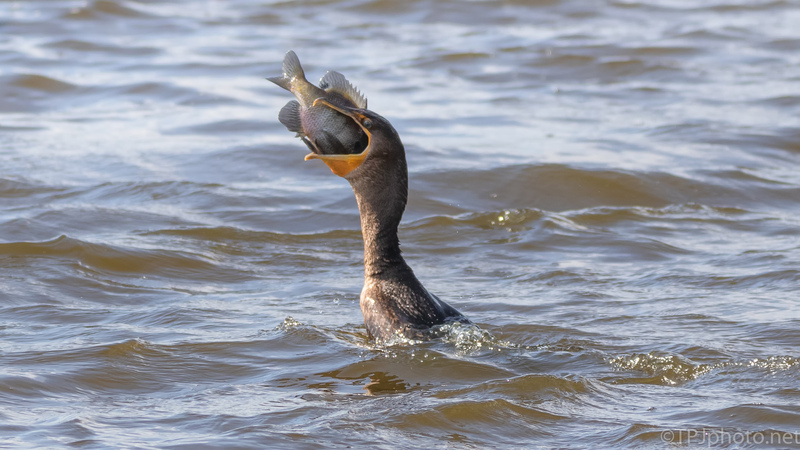 Cormorants are similar to the Anhinga in that they dive and hunt fish underwater. The Cormorant has a hook at the end of their bill, Anhinga actually spear fish with a straight pointed beak. Both have a huge mouth ! Fish are always swallowed head fish to avoid being hurt by any sharp gills a fish may have.